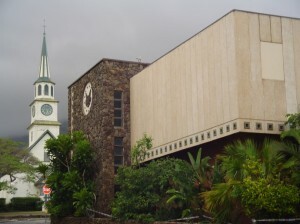 Old Wailuku Post Office. File photo by Wendy Osher. 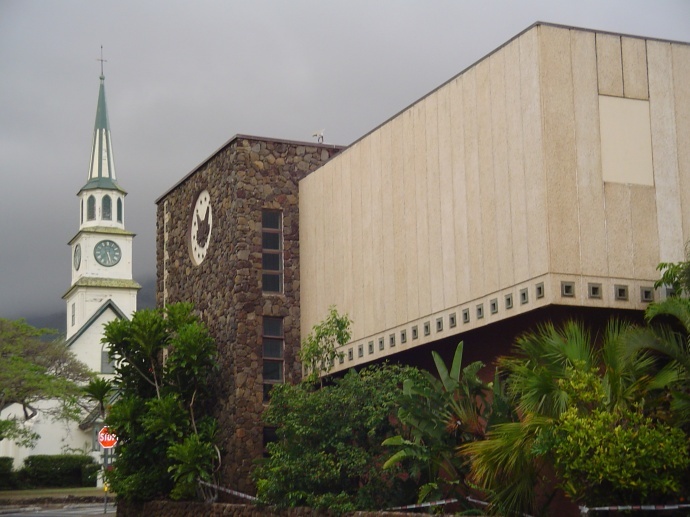 The council on Friday authorized an investigation into the potential misuse of county funds appropriated for the rehabilitation of the Old Wailuku Post Office. The resolution passed in a 5 to 3 vote with one member excused. Those voting against the measure included council members Don Couch, Council Chair Gladys Baisa, and Council Vice Chair Robert Carroll. While opponents voiced concern over the cost of an investigation, supporters argued that the alleged initial expenditure of $780,000 for master planning with no authorization should be the focus instead. A bill that sought to correct the error by amending the budget failed to pass in June. 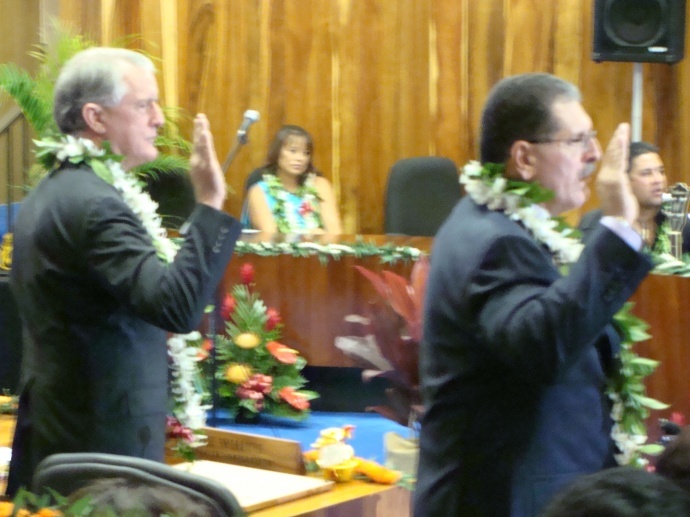 The vote comes on the heels of an apology issued by Maui Mayor Alan Arakawa last week. The investigation names the Department of Management, Department of Finance, Budget Office, Office of the Mayor, Department of Public Works, and the Department of the Corporation Counsel as subjects of the investigation. He continued saying, he does not think hiring outside counsel is a necessary action. “I cannot believe with the resources this council has and the attorneys we have on staff that this council has access to, that it would be necessary to do something like that. I think that’s where we created a lot of dissension–we’re talking about going outside, and when you’re talking about doing something like that, people automatically assume that we’re going to press charges against them–that we’re getting an outside attorney. That’s why I don’t like the format of the way this is proposed,” said Carroll. Councilmember Michael Victorino, spoke in support of the resolution saying he can support the intent of getting the facts out, correcting the problem, and moving on. “There are people out there laughing at us saying this is like a joke between the council and the mayor–It’s not a joke. This is serious. We just want to make sure that procedures are followed. We are not above the law. So I welcome this,” said Victorino. Victorino said he wanted the investigation from the beginning. “I want the public to understand that we’re doing this on their behalf. We’re doing this to make sure that not only this administration, but future administrations understand the procedures that are in place. We too have to understand our limitations and where we stand,” he said. 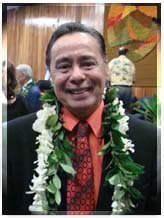 South Maui Councilmember Don Couch introduced a motion during the meeting, that the investigation end by August 31, 2013. After further discussion, the motion was withdrawn and changed to an expiration of September 30, 2013. The motion failed to pass in a 7-1 vote with one member excused. “Some of the words that have been mentioned scare me, ‘lengthy, long meetings’. This sounds like it’s going to be dragged out,” said Couch. “If Mr. Hokama is not OK with August 31, I can go to September 30th, but not much further,” he said. “If there are misdeeds that are found, which again, I’m not sure that anybody thinks that–a majority of us don’t think that there’s misdeeds, but maybe they do–then we can always, by resolution, extend the date,” said Couch. “We’ve done it on many other things including the general plan and a whole bunch of other stuff, so the date is in there to say if we’re serious about this, let’s get it done. If there are things that come up that require us to extend the date, then I’m fine with that–we can do that, we can change that. But with an open end it can be dragged out with lengthy long meetings, for a long time.” said Couch. 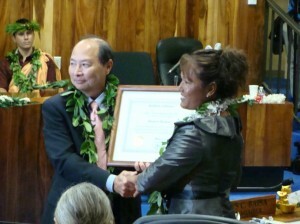 West Maui Councilmember Elle Cochran was among those who recommended that the resolution move forward. “I hear my fellow council members comments that we have resources here,” but she said there was information that surfaced indicating conflict pursuant to the Hawaiʻi rules of professional conduct. “There in lies the reason why I feel it very appropriate that this body seeks its own counsel. … I highly support this moving forward,” she said. “This is something I feel will be done expeditiously; but I would like to see it done in a thorough manner–and to put a time and a date on it, for me, doesn’t sit,” said Cochran. “I hear the concern about timing. I for one can appreciate that we all have huge demands on our schedule and our calendar. What I will say though is that I will commit to on this record today that it is appropriate, and it would be very much my recommendation should this pass from the committee, that sometime in September, maybe the end of September as Mr. Couch [recommended]–that the committee consider sending a report back to the council on where we stand for proper record keeping and to show the general public that wishes to give additional comment of where we stand within this investigation,” said Hokama. “I will not be supporting this. The reason that I will not support it is not because I don’t think we need an inquiry… I think we do. My concern is I would have really liked to have one more shot at this in the committee so that we have a better description of the process that we’re going to use and how we’re going to do it. Everyone seems to have an idea–a different idea–of how this is going to go forward–everything from a mini-Watergate to a sit down to talk story. Of course, I come from the talk story kind of inquiry. Because we don’t have that, I’m a little worried. I would have felt much better if we had had that before us, and I could have willingly voted to support the inquiry,” said Baisa who called the meeting a difficult but productive one.